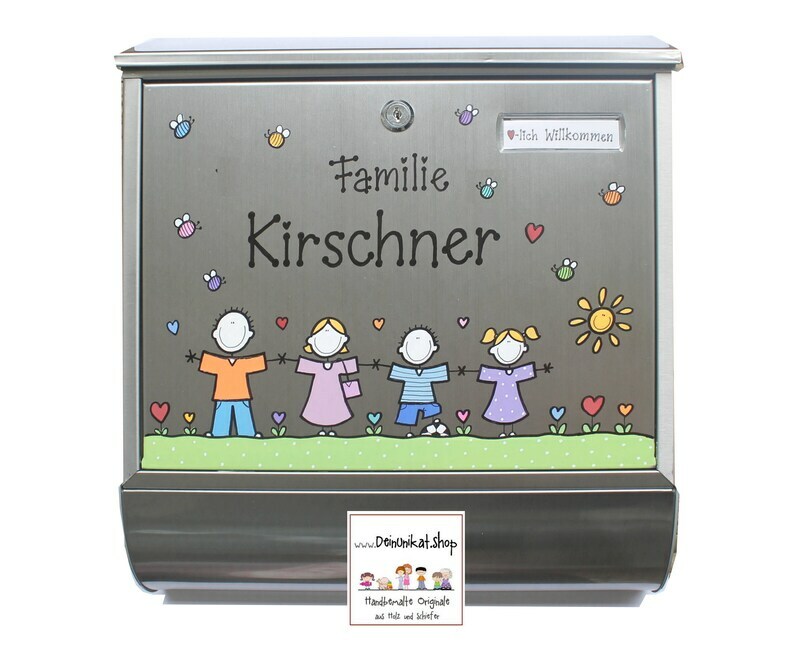 Our popular comic book family served as the basis for this high-quality letter box made of stainless steel with newspaper roll. Made in Germany-no cheap Asienware! The figures for your family you can choose from the sample table, as well as the font for house number and the surname in the Name field (to be found in the product photos). The paint is naturally weather-and weather-resistant and is protected twice with varnish. The paint Erfolt in Matt and prevents annoying fingerprints. This gives a great contrast to the high-gloss parts such as keyhole, lid and roll. Delivery is made including assembly material and a 2-pack key.